4,000 people gathered in Channelside to race for a good cause on Thanksgiving morning. 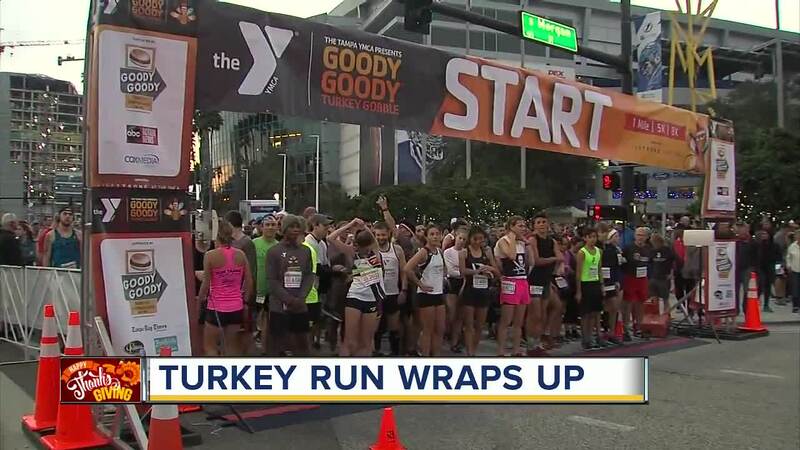 TAMPA, Fla. — 4,000 people gathered in Channelside to race for a good cause on Thanksgiving morning. The 4th annual Goody Goody Turkey Gobble benefited LIVESTRONG — a YMCA program for cancer survivor's and their families. 100 percent of the proceeds from the Goody Goody Turkey Gobble will help fund the free 12-week program for cancer survivors and their families, which encourages them to participate in both physical and social activities. 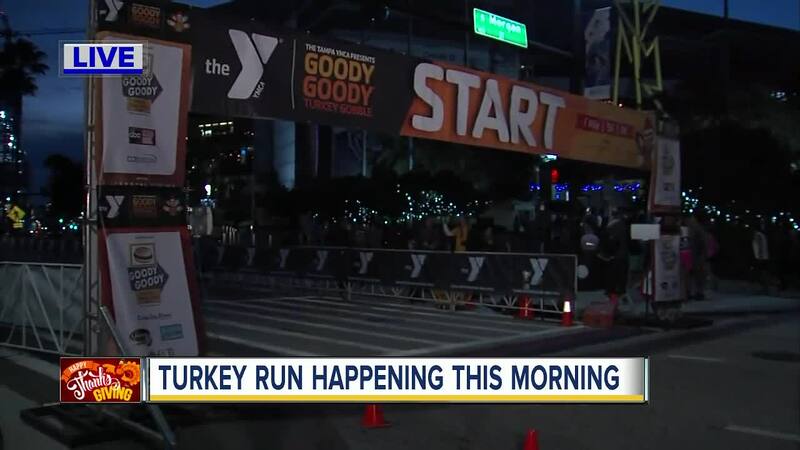 Runners, both as individuals and as teams, started their 8k, 5k or one-mile Turkey Trot races between 7 and 7:15 a.m. at Amalie Arena, went across the Platt Street Bridge, along Bayshore Boulevard, and ended back at Amalie. Race routes caused several road closures. Drivers were asked to please allow extra travel time, travel through the areas with caution and be mindful of pedestrians and cyclists. 5:30 a.m. Plaza at Amalie Arena opens — To ensure a mandatory on-time race start, race day registration & bib pick up will NOT be available. 7:00 a.m. 5k & 8K Races Begin — staggered start times for runners & walkers will be announced! All participants received a post-race Goody Goody breakfast. Each participant who finished their race received a medal. For more information on the race, click here .